Human Rights Defender Nadia Ait Zai from Algeria works for the rights of women. This is another of the profiles recently published by European External Action Service (EEAS) in the context of the 70th anniversary of the adoption of the Universal Declaration of Human Rights. [see: https://humanrightsdefenders.blog/2018/10/04/chia-wei-chi-first-in-series-of-videos-by-european-external-action-service/]. “The defenders we’re honouring today work in some of the most dangerous areas of the world, sacrificing their own security to peacefully demand justice and human rights for their communities,” said Andrew Anderson, Executive Director of Front Line Defenders, as he announced the winners in Dublin. La Resistencia Pacífica de la Microregión de Ixquisis formed in response to grave rights violations committed in the name of economic advancement in Guatemala. The government has authorised destructive mining and hydroelectric mega-projects in the region despite the widespread opposite from the 59 villages and 7 communities in the municipality. HRDs in the Peaceful Resistance risk their lives to defend the territory. In 2016 alone, there were more than 75 reported attacks against HRDs in the Peaceful Resistance including killings, shootings, harassment, and defamation campaigns. local issues like access to drinking water, electricity, and youth unemployment, in just 6 years the movement has developed into an extensive national-level network of powerful social organisers. Peaceful protests and demonstrations led by LUCHA are routinely attacked by authorities. In October 2017, 5 young protests were killed during a LUCHA-organised demonstration, and many of their members and leaders having been arrested and detained during peaceful assemblies. The Congolese national intelligence agency has detained several members, who have endured physical and psychological abuse in detention. Hassan Bouras is a journalist, blogger, leading member of the Algerian League of Human Rights, and founding member of the Rejection Front, a coalition against fracking to extract shale gas in Algeria. His reporting on both corruption and torture in Algeria spans more than two decades and because of this work he has been repeatedly targeted by Algerian authorities. He has continued his writing and advocacy despite years of judicial harassment, arbitrary detentions, violent raids on his home, and imprisonment. 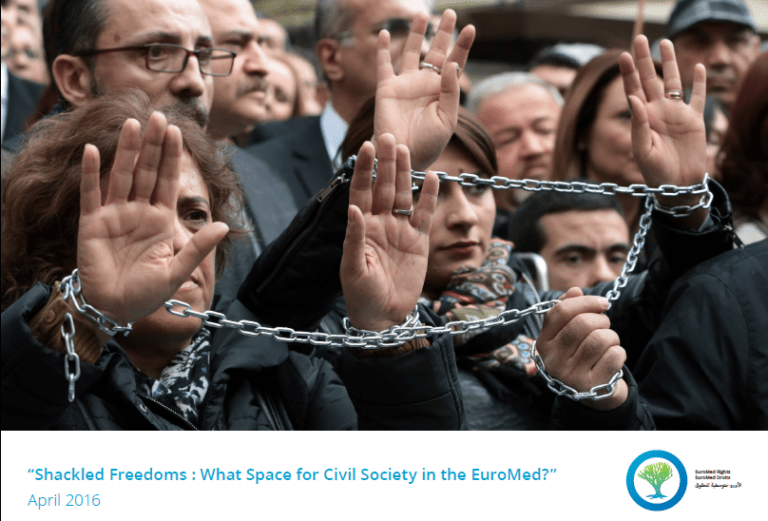 On 15 September 2015, the Turin Court of Appeal ruled to release Algerian human rights defender Mr Rachid Mesli, who has been under house arrest since 22 August 2015, and to allow him to leave the country, as reported by Front Line Defenders. The human rights defender was released before the end of the 40 day period during which the Algerian government could submit a formal request for extradition. The Court recognised Rachid Mesli’s important and peaceful work in the defence of human rights, as well as the high risk of torture he would face if returned to Algeria. While the court is yet to make its final decision on the extradition warrant, the release order highlighted that, according to the information received, Rachid Mesli’s human rights activities were not in any way related to terrorism. On 22 August, the Italian court placed the human rights defender under house arrest following three days in detention in Aosta prison. Rachid Mesli was arrested on 19 August 2015 (https://www.frontlinedefenders.org/node/29390) as he travelled to Italy on holiday with his wife and son. The arrest occurred as a result of an arrest warrant issued by the Algerian authorities in April 2002 on terrorism-related charges. Interesting tot note Front Line Defenders’ call on Interpol to ensure the legitimacy of all warrants issued by its members and to put in place safeguards so that the system cannot be abused in order to target human rights defenders. The Western Sahara International Film Festival (FiSahara) is an annual event that uses film to entertain and empower Sahrawi refugees and to raise international awareness about a forgotten crisis. From 7 to 13 October 2013, the 10th edition of the festival takes place in Dakhla, the most remote of the refugee camps in Southwestern Algeria. In close coöperation with the local NGO Polisario, FiSahara shows 28 different films on two screens. The festival also provides workshops, roundtables, cultural activities and spectacular camel races. Besides 5,000 local attendees, about 160 international visitors are expected. This year, the festival initiates a special human rights section. The award-winning documentary Are You Listening in Bangladesh follows Bangladeshi people who are impacted by floods, but fighting back to reclaim their livelihoods and dignity. The film has been screened at festivals worldwide, but the average Bangladeshi has not yet had an opportunity to see it. Now, from December 2013 to November 2014, the film will be screened in all 64 districts of the country. Each of these screenings, organised in close coöperation with local film societies, will be followed by Q&A’s about the impact of climate change on society. This will give more than 30.000 people the chance to see the film and join the debate. From 22-29 June 2013 the 9th edition of the human rights film festival Ciné Droit Librewill be held in Ouagadougou, the capital of Burkina Faso. To bring the film festival closer to the audience and lower the barriers for the less-privileged citizens of the city, a new venue is established: the “festival village”. In this open-air venue in the middle of a popular neighborhood, 12 human rights related films will be screened. In addition, music concerts, animation screenings and debates are organised for the 8,000 – 10,000 expected visitors. Movies that Matter supports the organisation of a travelling human rights film festival in Burma. After the 1st human rights film festival in Yangon, which will take place from 15 to 19 June 2013, a selection of the festival films will be screened in 13 cities in Myanmar/Burma, with about 80 screenings and 26 discussions in the entire country. The programme focuses on freedom of expression, freedom of religion and discrimination against women. With this travelling festival, which will take place in the second half of 2013, the organisation Human Dignity Media Organization aims to attract over 10,000 Burmese visitors. The 3rd edition of the Bamenda Human Rights Travelling Film and Arts Festival runs from 15-22 July 2013. The festival reaches audiences in seven urban communities in Bamenda, located in the northwest of Cameroon. A total of 30 film screenings will be held in community halls, school campuses and cafes all over the city. In addition to watching film, the 10,000 visitors can participate in 15 debates and enjoy a drawing exhibition on human rights. The 7-day festival, set up by the organisation A Common Future, will focus on various themes, including violence against women, children rights and the rights of minorities and indigenous people. To raise attention about the rights of the inhabitants of the Ecuadorian Amazon,Fundación Pachamama organises a travelling film festival in different cities in Ecuador. These cities, including Guayaquil, Cuenca, Ibarra and Manta, are located outside of the Amazon. In each of these cities, six films will be screened about the conservation of the Amazon and the survival of its indigenous peoples. In addition, during these three-day festivals, debates and photo exhibitions about the human rights violations in the Amazon are organised. The organisers expect to reach at least 3,750 urban citizens. Movies that Matter also supported an earlier mobile cinema project of Fundación Pachamama, Cine Amazonico, which took place in February 2012. Violence against women is still very common in Central America. The documentary Justice for my Sister shows the determination of a Guatemalan lady to find the assassin of her sister, and bring him to justice despite prejudices, opposition and corruption. The film will be screened between July and October 2013, as part of a training about women’s rights in Guatemala and El Salvador. The organisations “Aquí Entre Hombres” and “Colectivo Justicia para mi Hermana” will organise a total of 17 screenings of the film for almost 2,400 representatives of police, public prosecutors, the ministries of education and unions. The project includes dubbing the film in the Quiche language and developing educational materials about addressing violence against women. The theatre organisation ASHTAR is organising the first human rights film festival in the occupied Palestinian territory. With 40 film screenings, 12 debates and various music concerts and theatre events, the festival advocates for human rights all across the West Bank and in the Gaza Strip. The organisers assume that around 5,000 visitors – especially youth – will participate in the festival, which is scheduled to take place from 10 – 20 December 2013. This new festival is organised in close coöperation with the Karama Human Rights Film Festival in Jordan, which started in 2010 with support from Movies that Matter. In December 2013, the 4th edition of the Manya Human Rights International Film Festival will be held in Kampala. The 5-day festival screens over 50 films in the National Theatre and more than 40 other locations in and around the Ugandan capital, including video halls and outdoor locations. This year’s programme focuses on the role of social media in promoting the rule of law, good governance, democracy and transparency. For this edition the Manya Cultural Foundation expects more than 10,000 visitors. The foundation also plans to set up a forum with organisers of human rights film festivals in East Africa. On 17 January 2012, the Geneva-based Alkarama group, which campaigns for human rights in Arab countries, said its executive director Mourad Dhina was arrested and detained in France at Paris-Orly airport. Alkarama spokesman Michael Romig said Dhina appeared before a French magistrate on Tuesday to hear Algeria’s extradition request on decades-old terrorism charges and was then returned to custody. This a complex case with heavy political overtones.Dhina was a former top official in the Islamic Salvation Front (le ‘FIS’), the organisation which was poised to win the Algerian elections in 1992, which then led to an army crackdown and a decade-long bloody civil war, with severe violations from both sides. Because the Algerian Embassy in Bern regularly asked for his extradition, Mourad stated in the same 2006 interview in le Dimanche de Dimanche: «Nous n’avons pas de documents pour voyager. Nous ne pouvons pas quitter la Suisse». In spite of this he appears to have travelled several times through French territory without having been arrested. So, why was he now arrested? And what is the likelihood of him being extradited? Clearly his vehement opposition and use of television aimed at Algeria must anger the Government but that would not be the right ground for extradition. But the timing seems to indicate that there might be such a link. If it is the old charges of terrorism, then it will depend op the strength of the evidence. In this context it is pity that Dhina’s taking distance from the FIS was not accompanied by a clear condemnation of human rights violations also by the FIS itself. Even if one qualifies the Algerian conflict as a civil war, it does not condone violation of humanitarian law by any party. Let’s see what happens!